3 vendors have this plant for sale.17 members have or want this plant for trade. Not very heat drought sun tolerant for me. Flowers not very fragrant, no wafting/ filling the air scent. Flower buds did not open this Spring. We had a one time drop of temp to -11C(12F) which might have killed them. See image uploaded by me. I have seen this bush only once @ Gibbs Gardens, Ball Ground, GA which was blooming in March 2016 while I was touring their daffodil gardens. Though there were few to no leaves existing, the fragrance was "wonderful:; consequently I will be ordering for my own garden in TN. I bought two plants from a local perennial nursery last spring. Worried that the heat would be too great in the sunny spot I planted it. Watered it regularly through the hot, dry summer and it survived. We had a cold snap last week with temperatures down to 6 degrees F and 8 inches of snow. So far so good. The blooms don't appear close to opening yet, but they are still surviving. I'm hoping for the best. Neighbors walking their dogs are curious about this peculiar looking plant. So far in pots in my front yard, it has gone thru a long period of drought and still survived. I watered it during this period by saturating the pots every 10 days or so. The leaves are falling off now and the buds look healthy. I am wondering how these will fair in pots once the really cold weather comes. Also I saw a huge one growing in downtown Atlanta recently. @paperBush57: How's your plant doing? I noticed you are in West Cola, SC. I'm in Columbia (in town) and just last week planted an Edgeworthia 'snow cream' as a focal point in a backyard shade garden. I'm very excited to see how it matures. Hope your plant is doing well. I have not grown this, but want too. But very confused. I have read several articles and they all say prefers shade or light dappled sun. A lady here in charleston has one and it's planted in full shade and doing great. Having seen an edgeworthia (E. papyrifera) in MD, and guided by plant envy, I decided to try one up north, but since E. chrysantha was listed as hardier I decided to try it instead. What a nice plant: amazing spring blooms, intensely fragrant. 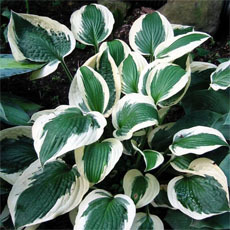 I really like the contrast of it's large leaves to the more delicate plants in the garden. It's habit of branching in threes instead of opposite or alternate like most plants is also refreshing. We planted one around 15 years ago in Barnstable, MA (Cape Cod, Zone 7) in an exposed location about 6 feet from the northeast wall of the house. The first winter it struggled, but after that it bloomed every year; it also survived one winter when it briefly reached -8. When we sold the home a year and a half ago it had reached 8' in height and about 15' across. In our new home (Yarmouth Port, 6 miles east) we planted a red flowering cultivar (some say this is E. papyrifera) which has struggled each spring to leaf out, and has not flowered. I have purchased another yellow flowering E. chrysantha 'Winter Gold" from the original source, we are anxious to see how they work out. Just bought an oriental paper bush. how tolerant is it to late sunny afternoon with heat? I planted two here in Cherry Hill New Jersey Zone 7A and they are doing great. It blooms in late Feb. into March before the leaves. We had a total of 6' of snow last year and did not harm it at all. Very easy shrub to grow. I planted this recently in our "east" bed. I am hoping it just needs some time as the leaves wilt now in full sun and it is only April! I am in the 7a-b zone. Planted this in late summer in an opening in my border and it had a very difficult transition. Our weather here in Portland, OR vicinity has been changing, with extended periods of high heat (over 93) rather than the single days that we used to get. So about two weeks after I planted, it was really hit hard by several days of full sun in the upper 90's and started to seriously wilt. And, though now I read it doesn't like to be moved, I felt I had to move it or lose it. So I shifted it about six feet to be under the dappled shade of a Japanese maple. It was like a revelation! Came back splendidly. The maple it's next to is a burgundy color; other surrounding plants are older small pines. The tips of its branches have been positively glowing in the garden next to the other darker pla... read morentings. It's brought a bright spot of interest and now I look forward to its next act: its yellow blossoms & scented bloom! so instead of cutting off as suckers, I'll choose a strong one and start over. If anyone has any input on this tragedy as to why it happened, I would love to hear about it. PlantFiles lists E. papyrifera as synonymous with E. chrysantha but there is disagreement about this. Some consider them to be separate species, with E. chrysantha having yellow flowers and being a bit more cold-hardy than E. papyrifera which has white flowers. This plant grows beautifully in zone 7b, Athens, GA, as well. Mine is planted in western exposure and is in full flower right now. 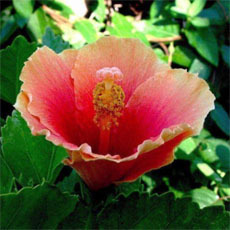 The plant is just reaching nurseries in Georgia and is being displayed as a fragrant show plant. 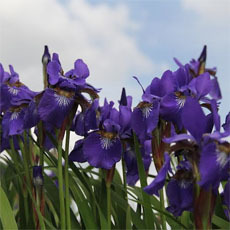 Has been grown in Europe for over 100 years (UK). Originally from China. Hardy to zone 8, flowers: Feb-Apr with both male and female organs. 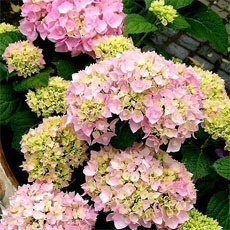 Likes the west side of a wall or building in well drained soil. Does not like root disturbance, plant once. Can be raised from seed but requires up to 12 months going thru 8-12 wks 20 C then 12-14 wks of 3 C. Take half-ripe cuttings in Spring. Also called the Golden Daphne. 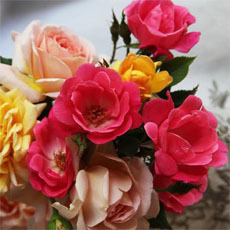 The flower head is extremely fragrant but delicate. 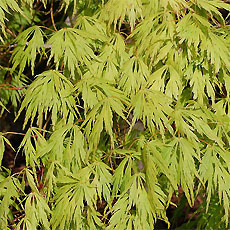 Deciduous spreading shrub from central China gets up to 6' tall. Clusters of fragrant creamy yellow flowers which are covered on the outside with silky hairs,appear on the ends of the branches in late winter and early spring. 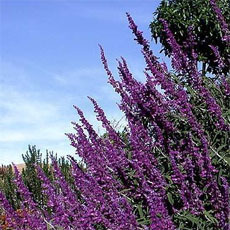 It has long narrow leaves and tough, flexible stems. 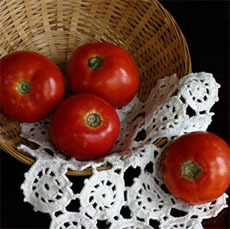 This variety is used in Japan to make banknote paper. 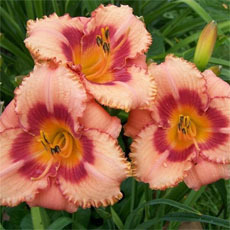 There is also a reddish-orange flowered form known as 'Red Dragon'.